"15 years ago I was working on Mega Man Legends," said Inafune. 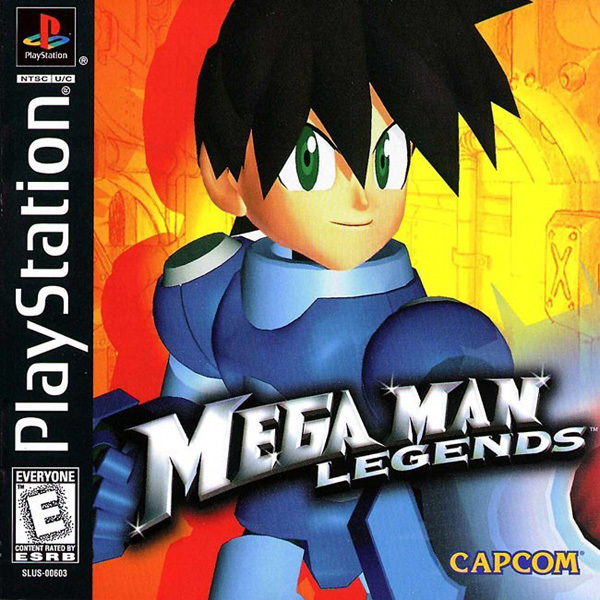 "It was the first 3D Mega Man title for PlayStation. I was very excited, very passionate, and very confident about this game. As such, I did everything I possibly could as the game's producer. However, it was not an easy road to success. The Mega Man series was slightly on the decline, and perhaps the expectation levels were not as high as the previous games. Therefore, we weren't able to sell or promote the game as we expected and failed to attract an audience." "Putting aside the quality of the game, at the end of the day the game was a failure from a sales perspective," Inafune admitted. "Mega Man fans I know are looking forward to a next installment in the series, but we shall see what happens. 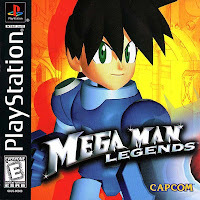 Back in those days nobody probably would have asked for the next Mega man Legends, though. That experience is my biggest failure and biggest treasure in my video game career." 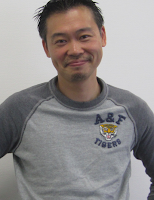 "Soon after I had the chance to work on Resident Evil 2, and I think I can say that project made me what I am today," Inafune stated. "Why would I think that? Because the game was successful, the production quality of the game, or it was a major franchise titles? No, none of the above. As many of you know, Shinji Mikami directed the original Resident Evil. The game was a major success and we decided to work on Resident Evil 2. While Mikami worked on the game, as the producer it was my job to sell this game to people around the world. With Mega Man Legends it was challenging to book around appointments and interviews. Nobody was interested in hearing about a new Mega Man title. However, the scenario was completely different with Resident Evil 2. Interviews and inquiries came pouring in, and Capcom also poured in tons of marketing dollars." Without experiencing the "humbling failure of Mega Man Legends", Inafune admits Resident Evil 2's success might have gone to his head. Having struggled with Mega Man Legends, however, allowed him to see the importance of rising to the challenge and fighting back. It is his hope Japanese developers, too, will find strength from their past struggles to succeed. Only then can new ideas and new brands come to fruition. "What we're missing in Japan is the desire to win and the tenacity to succeed," said Inafune. "I promise to introduce a new 'hero' from Japan. That is what we’re missing. We’re missing a hero." Admittedly, it is a bit sad to hear that Legends' failure at market made Inafune who he is today. Nevertheless, the game remains his personal favorite project. I think he is more than honored to know it is loved and adored by such a faithful bunch of people today. So thank you, Mega Man Legends, for instilling wisdom in one of today's most outspoken developers. For more words of wisdom from Inafune, read the full panel report at Game Informer and Gamasutra. Was it really that old of news? That was a rumor that they weren't sure enough to say "no" to. Chances are it was totally false and the answer was given just in case they made a Dash 3 game in the future and to hold our interest. Consider anything prior to news of the 3DS version unfounded rumors. Legends 3 wouldn't have failed had Capcom had it ready shortly after the 3DS' release: it would have been the only launch title with any real substance. But instead, Capcom dragged their feet and let politics get in the way, so now it'll be just as hard a sale as Legends 1 and 2, instead of a crazy money maker. Lame. Even more lame that the Megaman series doesn't get more love from the public; the fans carry the series on their backs. Inafune should adopt Rockman in his company and works from there. He cares about Rockman more than Capcom does. If he can't then Rockman is offically dead, I believe, unless otherwise. Capcom is probably gonna Copyright troll Megaman. It is sad in a way, yet it makes a lot of sense. The commercial failure of Legends made him appreciate the work that could go into making a game that did well. Rather than going to his head, it was more like a sense of accomplishment and a drive to succeed. Inafune is the hero Gotham deserves.